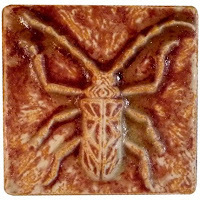 Handpicked on Etsy: Scarab beetles in ancient Eqypt symbolized the transformation of life, and became an iconic motif for artifacts including amulets, talismans and jewelry. 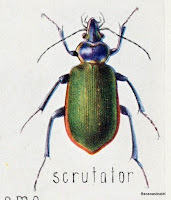 Nowadays, the word "beetle" is more frequently associated with the famed rock band, The Beatles, or with the "bug" auto by Volkswagon, than with the insect. 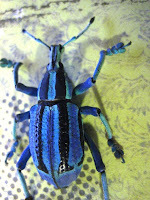 Living, crawling weavils and everyday beetles are typically dismissed as mere pests in modern life, but artisans have long recognized intriguing manifestations of color and form displayed in this class of insects. 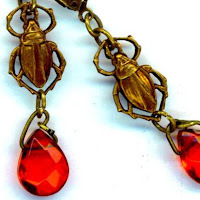 Today I searched for examples of beetle-inspired creations on Etsy and came across these lovely examples of jewelry and pictorial artwork. Click on the pictures to go directly to these Etsy listings. Prices range from $14.00 to $48.00. What a SPLENDID gathering of winged creatures!!! Beautiful presentation! Thank you for including my Red Desire Earrings! 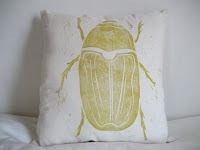 You did do a wonderful job of collecting beetles from Etsy! 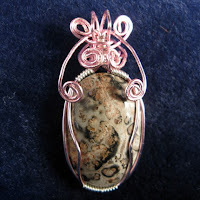 Thanks so much for including my wirewrapped pendant also! 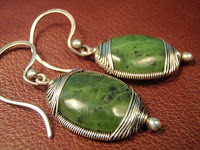 I also enjoy scarab jewelry and art -- thanks for posting these images. I love taking insects pics and I love jewelry! Delighted to see them here. St. Paddy's Day: Wear Green from Etsy!